 The Macomb County Circuit Court is spearheading a pilot project offering Summary Jury Trials as an option for civil cases, with a particular emphasis on noncomplex tort, no-fault, and business cases. Summary Jury Trials are one day trials before a six person jury, conducted by a Presiding Officer who may be the assigned trial judge, a retired judge, or an attorney serving as a special hearing officer. The jury selection process is simplified, time limits are placed on the parties, and the parties are free to modify the rules of evidence. Supreme Court Administrative Order 2015-1 discusses the requirements in greater detail. In order to participate in a Summary Jury Trial, the parties should complete a Consent Order for Summary Trial and present it to the assigned trial court judge. The parties must also select the Presiding Officer for the Summary Jury Trial by filling out a Stipulation and Order Naming Presiding Officer for Summary Jury Trial. The parties must set a date for the summary jury trial, which will be approved by the assigned judge's secretary. Adjournment must also be approved by the assigned judge's secretary. If the parties select anyone other than the assigned judge to serve as Presiding Officer, the parties are responsible for paying the compensation of the Presiding Officer. The parties are also responsible for selecting and paying an individual of their choice to serve as "Summary Jury Trial Clerk" (to handle any clerical matters, bring in the jury, and take the jury back to deliberate). A verdict is reached when five of the six jurors agree on a disposition. The jury will then complete a Summary Jury Trial Verdict Form, which must be submitted to the clerk of the assigned judge on the next business day. The nonprevailing party shall pay the judgment within 28 days of the jury's verdict, at which time the prevailing party shall submit an Order of Dismissal with Prejudice to the assigned judge for entry. There is no right to appeal the jury's decision, except in cases of fraud.